You may be questioning if you should consider running space ads in newspapers. “Does anyone read newspapers anymore? That media is dead, right?” Wrong. 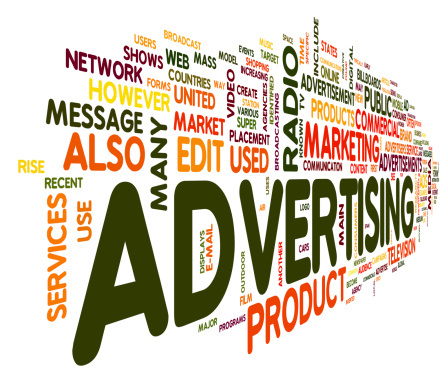 Placing a space or print ad in local newspapers around the country can be very lucrative in most marketplaces. Here at Macromark, we have seen a ton of success with it with many of the products we represent. Generation X, baby boomers, and aging seniors all read newspapers, and if done correctly, print ads are a nice place to start with a relatively inexpensive investment. However, there are certain things to know to make print ads work for you. Consider the product or service’s viability, size, location, and price, as well as the type of ad; call to action, geography, and weather. Fifty to 75 million newspapers get purchased each day; that’s practically one in six people in the country, which is a huge reach. Newspapers also offer amazing prices to advertise for direct response advertisers; in fact, we run at 10% of the cost or remnant rate. Let’s say you have a memory product that you want to sell. Its target audience is primarily individuals aged 45 and older—the kind of person who might just be noticing a bit of a lag in their memory lately. First, consider that this older generation is a huge fan of newspapers: they grew up with them, prefer them, and don’t care about the Internet as much as those younger than them. They get their information from newspapers, so we have a viable channel. There are a lot of ways companies can take out ad space: quarter page, half page, lower half, left half, mostly picture, mostly product info, etc. And there is a lot to consider; for instance, the best space for an ad selling this memory product might not be the best space for selling a weight loss product, in which case you will have to test the location, whether vertical or horizontal. The size and design of the ad also makes a difference. Should the ad highlight the product or should it tell a story? Some ads do better in an editorial format, telling a story as opposed to detailing benefits in bullets. For example, “Frank could never remember where he left his glasses. He would begin to search and forget what he was looking for. That was until he discovered the amazing new pill that made him feel whole again.” Consumers can relate to Frank. “Maybe this pill will help me too,” they’ll think. There is a correct way to write the ad specific to the type of product one is trying to sell. One must have a knowledgeable designer and copywriter to create a space ad, one that is familiar with the types of components that need to be present to elicit the purchase of the product. Ads might need to include graphs, charts, pictures of people or products, or, of course, testimonials. One ad may also need shock value, while another needs angst or joy on the face of its model. That brings us to another important subject to consider: the actual call to action. Sometimes, it is best to use a phone number, while other times, a web address works better. There are strategic locations for this call to action as well; in fact, geography can also be a big factor in selecting which newspapers to advertise in. How does one know what regions are better for a certain type of product? Experience matters and can both save and make you a lot of money. The truth is that there is a rhyme and reason to what type of ad to do when and where and that these answers are based on actual trial and error. This media channel is successful and an inexpensive way to test both your creative out of the gate and the interest of the consumers. Space ads are not dead!